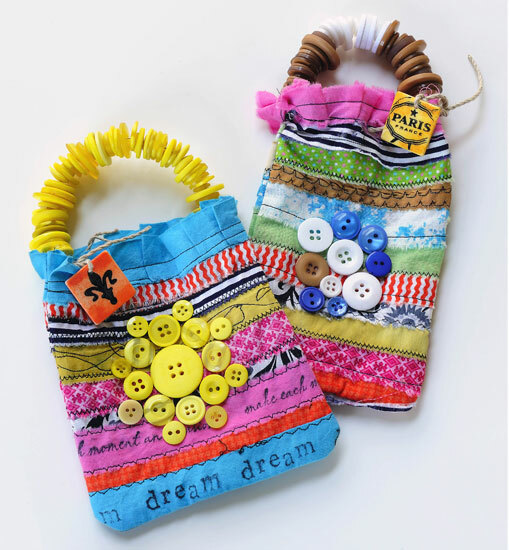 These little fabric bags are a great stash busting idea and a creative use of buttons! You can make all kinds of adorable designs out of your smaller fabric scraps and button stash. 365 Days of Crafts has a tutorial showing how to make them. As much as I love all those colorful stripes, my absolute favorite part is the button handles. So cute! !